The lady who brought this fresh salad to our group actually grows a very large herb garden and so she allowed us to partake of it. The fresh herbs combined with zesty lime and Garam Marsala was just excellent. 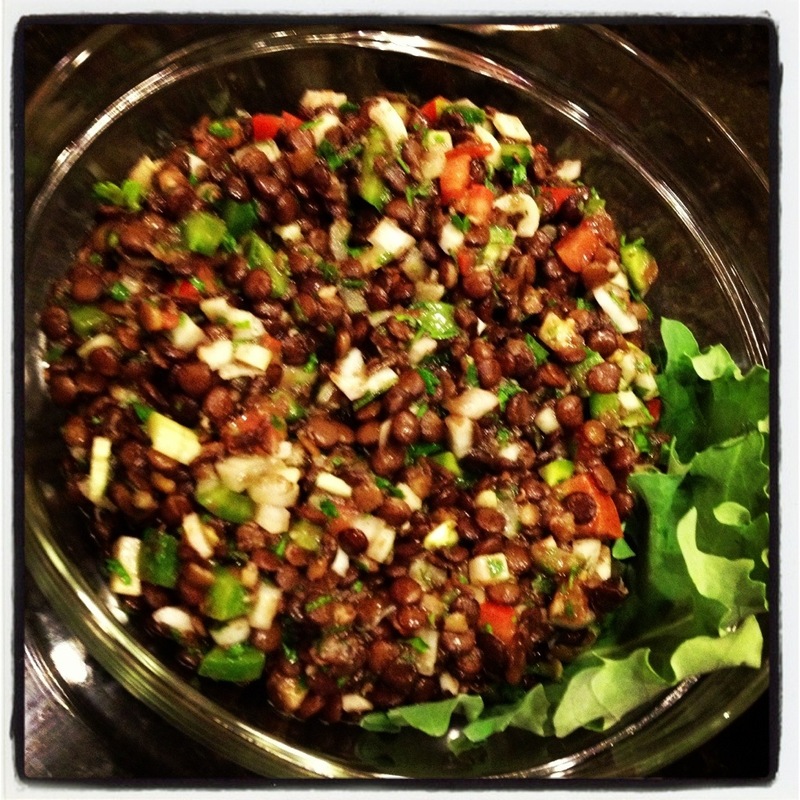 The lentil of course are just bursting with nutrition, fiber and protein so thanks for sharing!